When you want to share data with others, the first thing you need to decide is under what terms. Do you want others be able just look at the data, change the format (Excel to CSV, for example)? Do you want this person to be allowed to share the data within his research group, or perhaps collaborators? Very often this is arranged informally, in good faith, or by some consortium, confidentiality, or non-disclosure agreements. However, these approaches do not scale very well. When this matters, then data licenses are an alternative approach (not necessarily better!). Madeleine Gray has written on her EUDat blog some words about the EUDAT License Wizard. This wizards talks you through the things you like to agree on, and in the end suggests a possible data license. 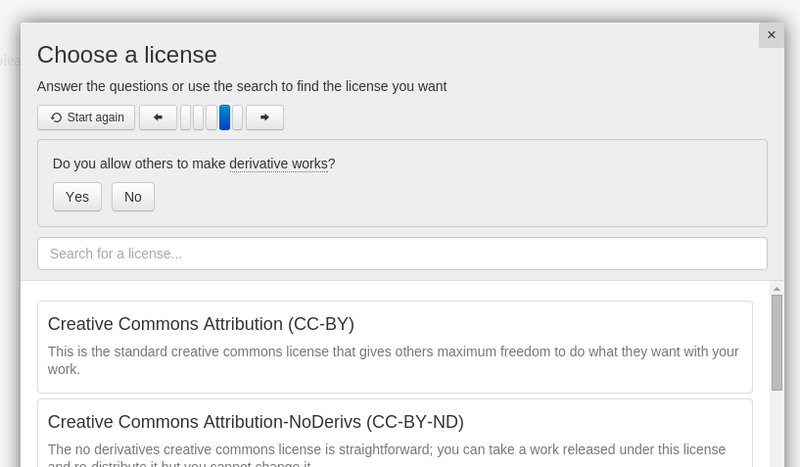 It seems pretty well done, and the first few questions focus on an important aspect: do you even have the rights to change the license (i.e. you are the copyright owner). Mind you, there are huge differences between countries around data copyright. item by Van Noorden (see text). The big (non-science) news this week was the announcement that papers from a wide selection of Nature Publishing Group (NPG) journals can now be shared allowing others without a subscription to read the paper (press release, news item). That is not Open Access to me (that requires the right to modify and redistribute modifications), but does remove the pay-wall and therefore speeding up dissemination. It depends on your perspective if this news is good or bad. I rather see more NPG journals go Open Access, like Nature Communications. But I have gotten used to the publishing industry moving slowly. And it is a welcome move! We have all been arguing that there are so many people not able to access the closed-access papers, including politicians, SMEs, people from 3rd world countries, people with a deathly illness. These people can now access these Nature papers. Sort of. Because you still need a subscription to get one of these ReadCube links to read the paper without pay-wall. It lowers the barrier, but the barrier is not entirely gone yet. Unless people with a subscription start sharing these links as they are invited too. At this moment it is very clear when and how these links can be shared. Now, this is an interesting approach. In most jurisdictions you are allowed to link to copyrighted material, but the user agreement (UA) can put additional restrictions. When and how this UA applies is unclear. This tweet also shows the state of things, and I congratulate NPG with this experiment. Few established publishing companies seem willing to make these kind of significant steps! Changing the nature of your business is hard, and NPG trying to find a route to Open Science that doesn't kill the company is something I welcome, even if the road is still long! Importantly, it is only a matter of time that someone clever and too much time (fortunately for ReadCube, scientists are too busy writing grant applications) that someone uses the techniques this ReadCube application uses to render it to something else, say a PDF, to make the printing process a bit easier. Of course, the question is, will that be allowed. And that is what matters. In the next weeks we will learn what NPG allows us to do and, therefore, what their current position is about Open Science. These are exciting times!